Support Peterson Elementary at the 5th Annual Beer for Books! DANK HAUS, 4740 N. WESTERN AVE. Unable to make it? Donate today! You will be treated to live music, non-alcoholic beverages donated by Trader Joe’s, and wonderful food donated by Bryn Mawr Breakfast Club, El Carrito, Maison de Castelnau, Noon-O-Kabab and Tre Kronor. Friends of Peterson donors will also be able to enjoy beer and wine from Alarmist, Half Acre, Louis Glunz Beer, Breakthru Beverage, and Lentino Enterprises. 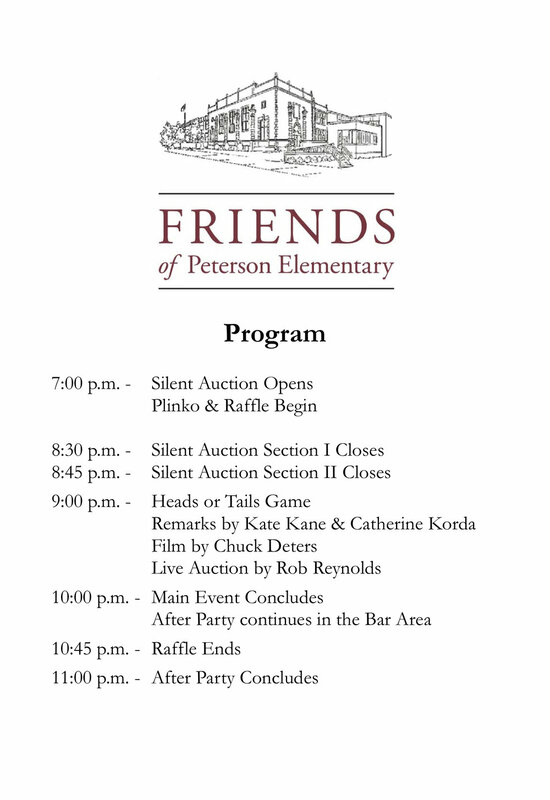 There will be many fun opportunities to gather with friends and neighbors and support Friends of Peterson through a silent and live auction, a wine grab, the Giving Tree and more. Tickets to this adults-only event are available for purchase for $25. The price of the tickets will increase as the event draws near. This event will be held on Friday, June 3, 2016 from 5-9 PM at the Gatehouse at the Conservancy, a beautiful outdoor location at 3960 W. Bryn Mawr (see below for a detailed image and explanation). With the purchase of a $20 ticket, you will be treated to live music; non-alcoholic beverages; and delicious hors d’oeuvres donated by neighborhood restaurants including Tre Kronor, Local Pizzeria, Bryn Mawr Breakfast Club, El Carrito, and Chicago Pizza. You can also purchase wine, donated by Lentino Enterprises, and craft beer, including Half Acre and Une Année, that evening. Due to these challenging financial times at Chicago Public Schools, there will be lots of opportunities to support the work of Peterson through tax-deductible contributions, as well as the chance to win a huge assortment of fabulous prizes through a silent and live auction! Purchase your ticket at www.friendsofpeterson.org. Tickets for this adults-only event are limited and must be purchased before June 3rd. Purchase your ticket here. Tickets for this adults-only event are limited and must be purchased before June 3rd. Please enter through the gate at the corner of Bryn Mawr & Pulaski where you will see a large Friends of Peterson banner. Free street parking will be available on Bryn Mawr.